The auto attack system in the game is very helpful. You simply set your character on auto-attack, and after monsters are targeted, your character will start auto killing them, getting you a lot of experience and loot. 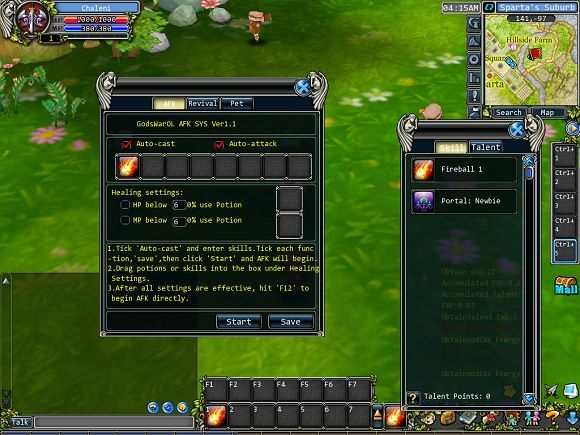 Before you turn on auto-attack status, you have to drag a skill into the active slot to the left of the Quick Slots. Click on the Auto attack tab on the menu on the right side of the screen or press the F12key to activate auto attack.